It’s finally summer and July 4th is just around the corner! One of my favorite things about this time of year are all of the fresh summer berries. 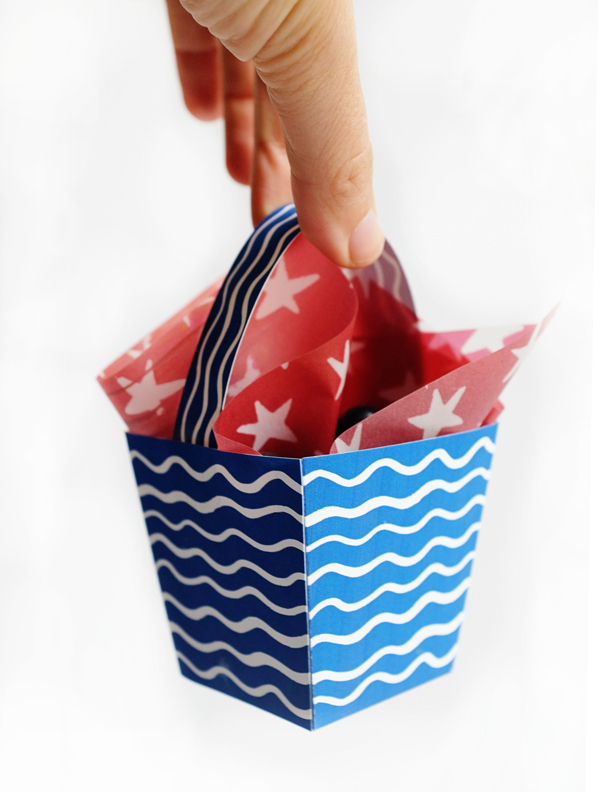 It’s okay if you don’t have enough time to make a blueberry pie… Simply give your friends & family these cute little berry baskets. 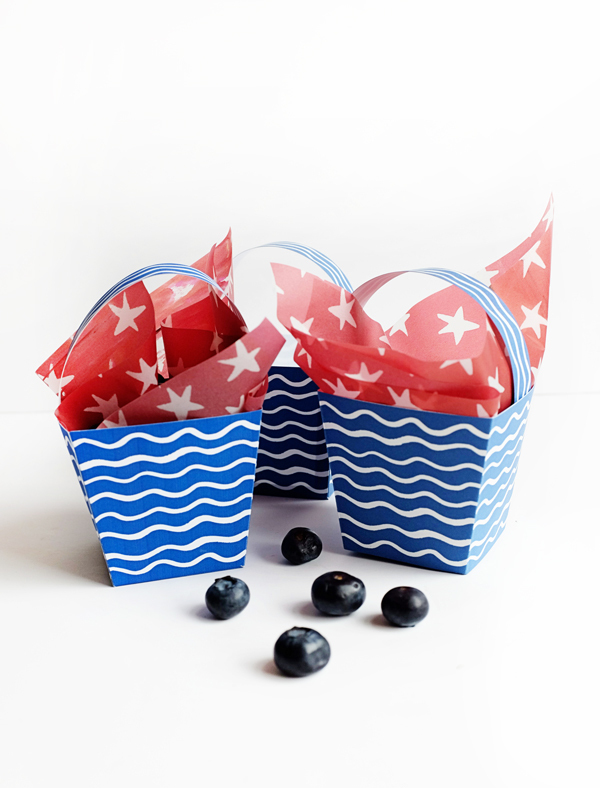 These easy-to-assemble little striped baskets with a star velum liner will make the perfect addition to any patriotic party. 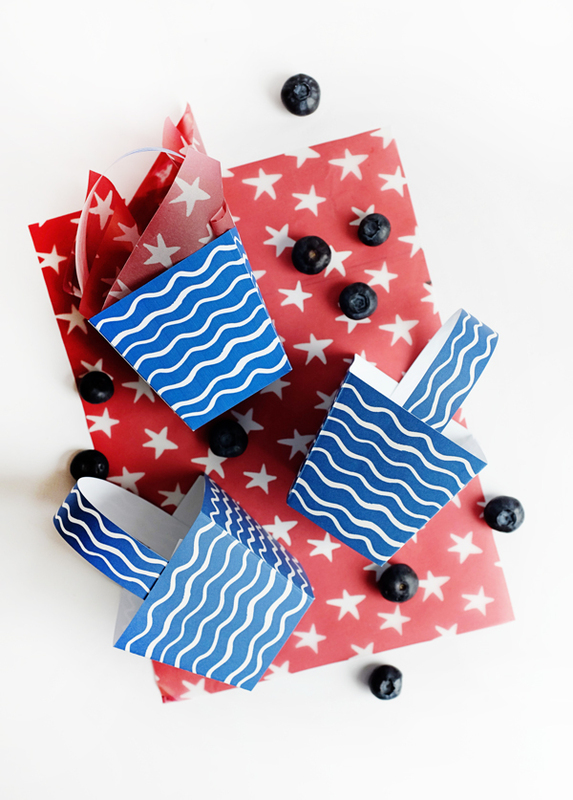 Materials: Printable Patriotic Berry Boxes Template, 8.5 x 11 card stock (I used Epson Ultra Premium Matte Presentation Paper), velum, 8.5 x 11 printer paper, scissors, bone folder, ruler or other straight edge, glue, tape. 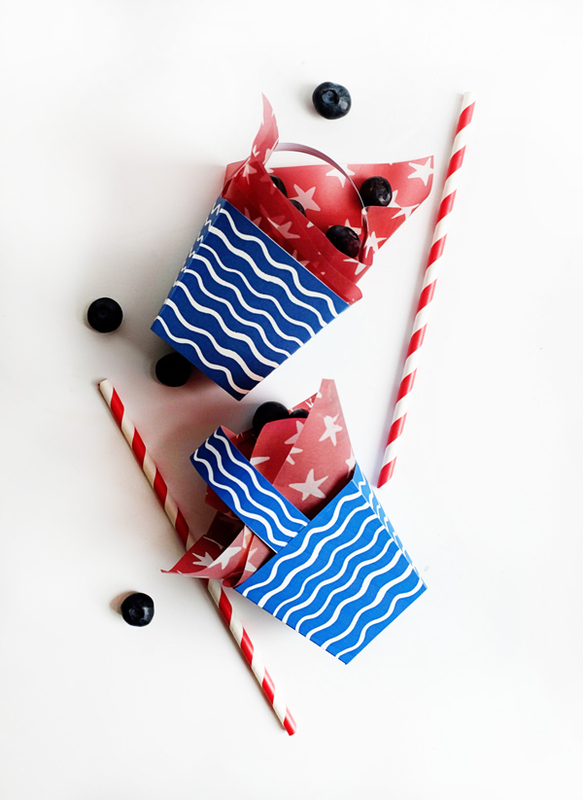 Step 1: Print out page 1 of the Printable Patriotic Berry Boxes Template on 8.5 x 11 card stock. Step 2: Score all of the indicated fold lines with a bone folder. Step 3: Cut out the the template using scissors (or craft knife) and fold along the scored lines. Step 4: Put glue on all of the flaps and assemble the box as pictured. Step 5: Put glue on the outside edges of the basket handle and glue inside the box (see photo). Step 6: Cut a piece of velum to be slightly smaller than an 8.5×11 piece of paper. 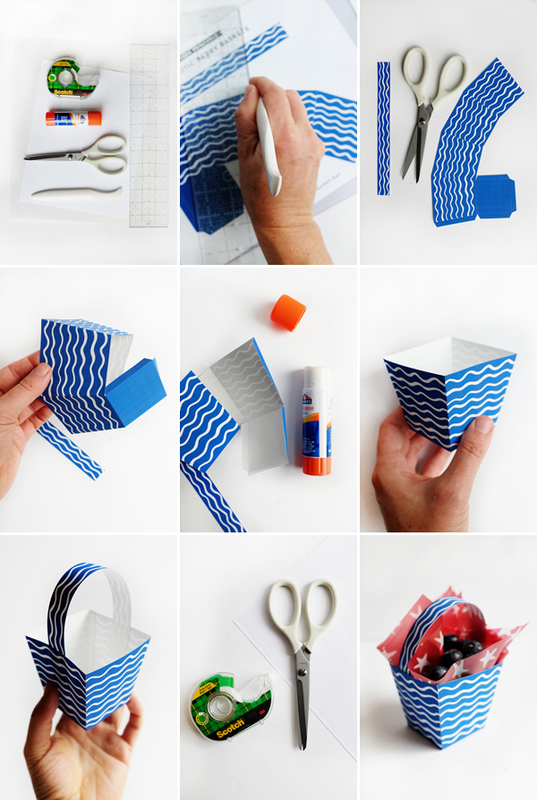 Carefully place the velum on a piece of 8.5 x 11 printer paper and put small pieces of tape on the edges. Step 7: Print page 2 of the template on the velum page. Step 8: Use scissors to cut the velum off of the taped paper. 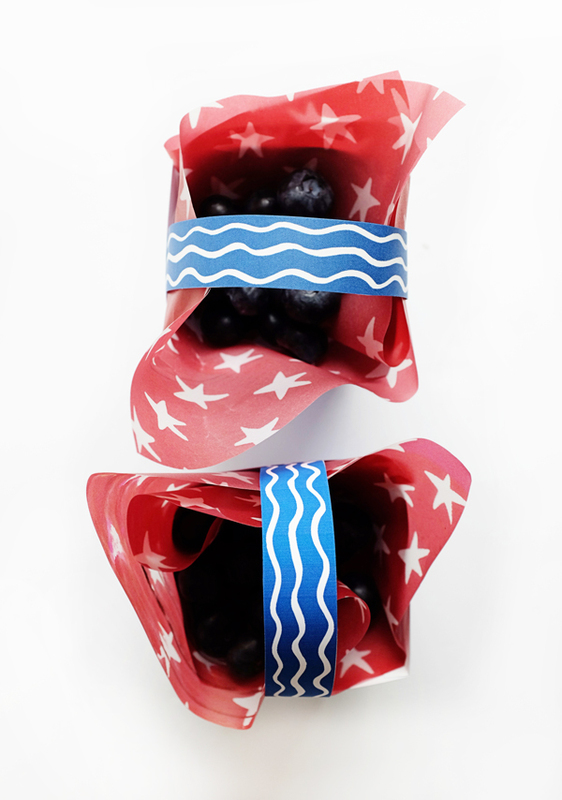 Step 9: Line the box with the printed velum and add any berries or treats of your choice. What a festive little giveaway box! I love this! So festive! We just posted our 4th of July DIY Crown. Very creative and patriotic. As I write it’s 4th of July and hope you having a grand time with family and friends!! Very interesting and creative. I’ts very beautiful for the biggest American day! 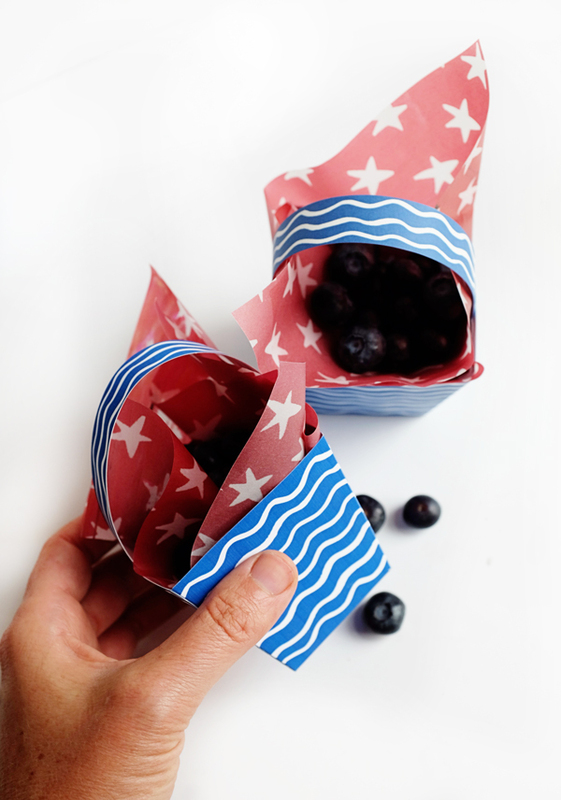 These berry boxes are adorable! Good job!